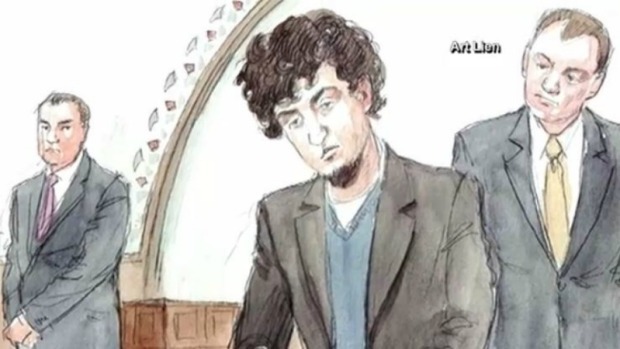 Lawyers for Boston Marathon bomber Dzhokhar Tsarnaev were denied their request for a mistrial following a question the prosecution asked a Tsarnaev relative in court Monday. Court transcripts show that the defense’s grounds for a mistrial were brought up during a sidebar. The question was, "but would you agree that a person who cries at the death of a cartoon character but is indifferent to the death and suffering‎ of hundreds of people..."
The defense objected while the prosecution defended the question, saying they have contended since their opening statements that Tsarnaev has felt no remorse. The defense said, "any suggestion that his silence or demeanor in the courtroom, even implied‎, suggests a lack of remorse is grounds for mistrial." The judge ultimately ruled orally that the motion for a mistrial was denied. 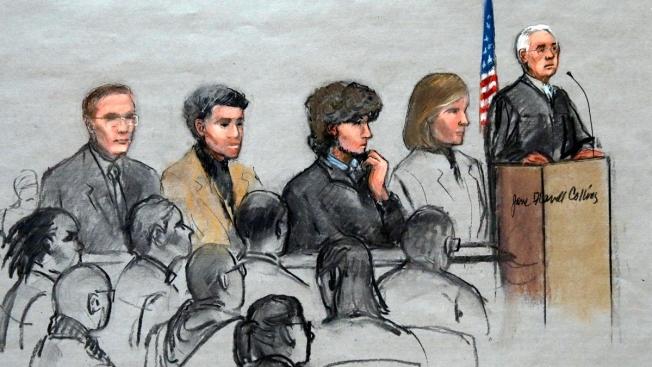 Five of Tsarnaev's Russian relatives took the witness stand for the defense Monday. One of his aunts was only able to answer a few questions about herself before she stepped down from the witness stand after she was unable to compose herself.